Earlier this year I met Wilman Ortega from Guatemala who works in the medical industry in the U.S. and is getting ready to open up a new roastery that will focus exclusively on the finest that we’re able to hunt down for each region in Guatemala. I’ve yet to see a roaster do this… and I suppose the question is why would you. Well if Anacafe determines there’s enough distinction to market a new region/cup than why not carry this foward. I very much look foward to this new project as to my knowledge it is the first of this kind and expect he’ll find much success in taking on such a high level of focus that limits the product offerings this much. This will cater heavily to the purists out there. Keep your eyes peeled for Wilman’s new project. 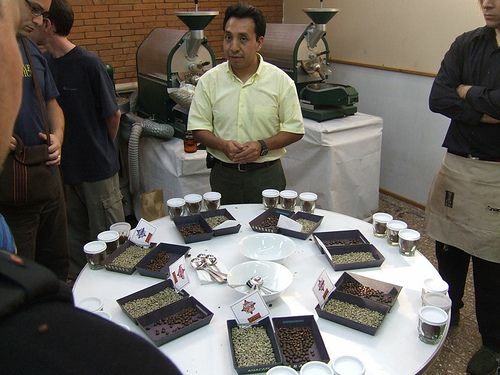 In the fall we will host an advanced cupping course in Bellingham that among other things will include cupping for defect, blind ID of region and elevation for Guat because we have such great examples of each.